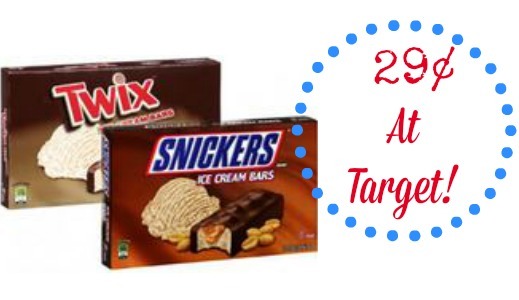 You can get Mars Ice Cream Bars for 29¢ after a store coupon and manufacturers coupon at Target this week! These are delicious treats are great to have on hand for the Summer and an affordable alternative to the ice cream shop. Make sure to print your coupons soon because they won’t last long!